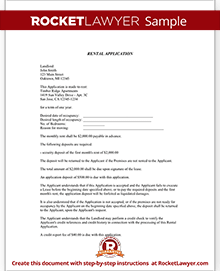 Rental applications help you gather the information you need to prescreen a potential renter. Our forms can be created, saved, shared and signed online, or you can print them and give them to potential renters. You want to carefully screen your rental applicants before offering them a lease. Using a rental application, you can collect information about applicants such as past rental history, employment information, contact information and identifications that you can use to help you determine if they might be good renters. The point of the Rental Application is to help you prescreen renters, so you can attempt to find dependable and honest tenants. Using the information collected in the applications you can perform criminal and credit checks, interview employers and previous property managers, and discover their basic information such as the number of potential occupants. 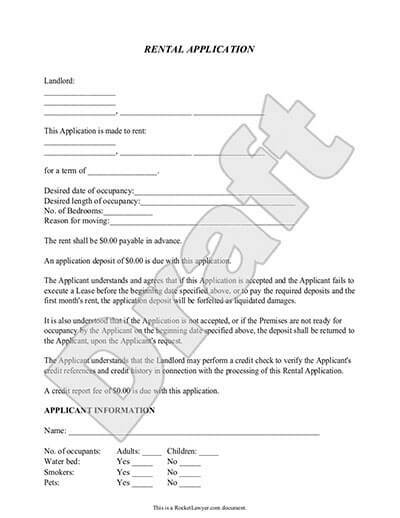 It also outlines deposits and rent information to the applicant. No background check is foolproof, but with due diligence, you should be able to increase your odds of finding responsible tenants who will pay their rent on time and follow the terms of the lease. One of the first things you'll want to do is to learn about your local housing laws. You'll want to make sure that you do not accidentally discriminate against a protected class. While it takes a bit of time, it pays off. 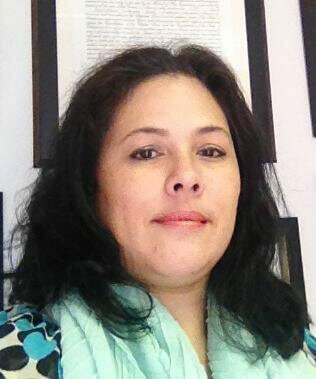 Call their current and former property managers and ask them about their experiences with the applicants. If they have moved a few times in the past couple of years, call more than one previous landlord. Additionally, check their social media accounts to see if you can see any clues about what kind of renters they might be. A credit check will let you know if they have outstanding debts or judgements, how many lines of credit they have, repossessions, charge-offs and their credit score. Generally, you'll want to review their credit history and look for a credit score in the 600s or higher. If you see anything concerning, you can ask them about it to see if they have a reasonable explanation for it. Background checks are not expensive, and the prospective tenant can pay for it as part of their rental application fee. For some, the fact that you perform a background check is enough for them to shy away from the rental application saving everyone time and money overall. Check their IDs to make sure you are indeed running a background check on the right person. You should run a background check on all adults wanting to live in the rental. Ask for a large enough deposit to cover potential damages and move-out routines such as carpet cleaning. If they cannot pay the deposit, that might be a warning sign that they do not manage their money well or cannot afford the rental. Check your local rental laws regarding what the limitations might be on how much you can charge for a deposit. If you allow pets, you can also ask for a pet deposit and even pet rent (such as an extra $30 per month). If you want to find good tenants, you need to be a good landlord. When you meet to show your prospective tenants your rental property they are studying you also to judge whether they think you might be the kind of landlord that will take care of repairs quickly, if you are a decent communicator and if you are professional. If you show up disheveled and rushed they might assume you may not have the patience and time to attend to the rental property well. You can help your tenant to be a better renter by making sure you communicate your expectations clearly. Make sure they have a copy of their Lease Agreement so they know exactly when rent is due and what happens if they are late. It also helps to remind them every few months or so about HOA rules and seasonal considerations such as leaf collecting, parking, spring cleaning and snow removal. You can also help ensure your property is cared for by supplying them the tools they may need to maintain the premises such as lawn mowers, adequate garbage cans, snow shovels and so on. Make paying rent as convenient as possible by using a service to allow your renters to pay online or by bank deposit if possible. When they contact you make sure you get back to them in a timely manner and address critical problems as quickly as possible. Overall, try to make it so your renter has everything they need to take care of your property and a way of easily contacting you when needed. We provide numerous tools for helping create successful landlord-tenant relationships such as Lease Agreements, Late Rent Notices, Rent Receipts and Pet Addendums. If you need help making your documents or have questions about housing laws you can ask a lawyer for assistance. Our step-by-step interview process makes creating a printable Rental Application easy.